This was the first Elizabethan Proof set to be struck by the Royal Mint. It took them another seventeen years to do a second, so you can see why these scarce sets have been so popular. 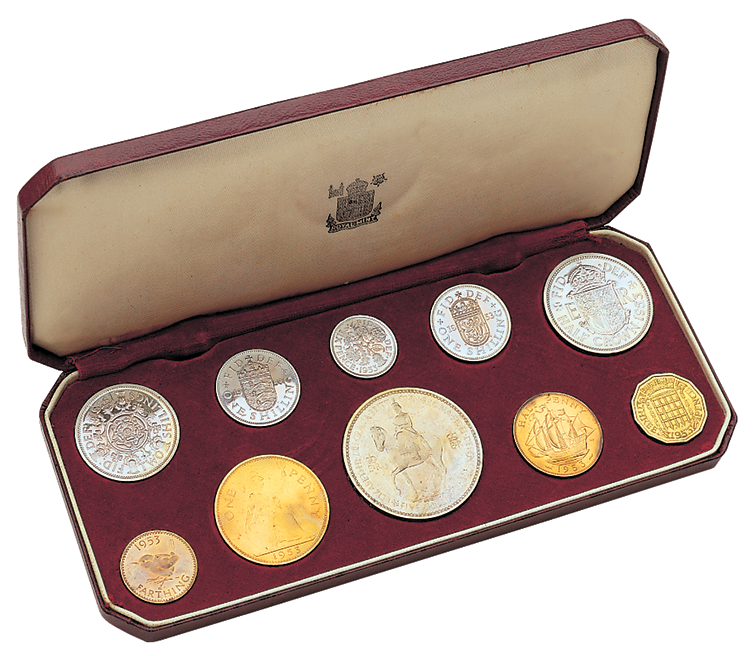 Contained in a red plush case the set consists of ten coins, crown to farthing. The 50th Anniversary caused a big demand for these sets. Never easy under normal conditions so we are quite fortunate to have stock for this issue.